Vehicle crashworthiness has been improving in recent years with attention mainly directed towards reducing the impact of the crash on the passengers. Effort has been spent in experimental research and in establishing safe theoretical design criteria on the mechanics of crumpling, providing to the engineers the ability to design vehicle structures so that the maximum amount of energy will dissipate while the material surrounding the passenger compartment is deformed, thus protecting the people inside. During the last decade the attention given to crashworthiness and crash energy management has been centered on composite structures. The main advantages of fibre reinforced composite materials over more conventional isotropic materials, are the very high specific strengths and specific stiffness which can be achieved. Moreover, with composites, the designer can vary the type of fibre, matrix and fibre orientation to produce composites with proved material properties. Besides the perspective of reduced weight, design flexibility and low fabrication costs, composite materials offer a considerable potential for lightweight energy absorbing structures; these facts attract the attention of the automotive and aircraft industry owing to the increased use of composite materials in various applications, such as frame rails used in the apron construction of a car body and the subfloor of an aircraft, replacing the conventional materials used. 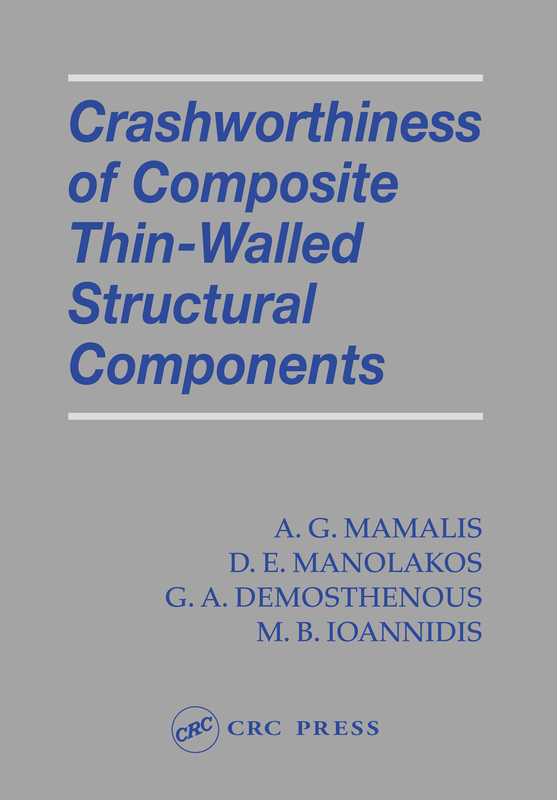 Our monograph is intended to provide an introduction to this relatively new topic of structural crashworthiness for professional engineers. It will introduce them to terms and concepts of it and acquaint them with some sources of literature about it. We believe that our survey constitutes a reasonably well-balanced synopsis of the topic.